Stellar Phoenix Windows Data Recovery – Professional software to recover deleted or inaccessible Windows partitions. This tool will render data from partitions lost due to system malfunction, virus attack, disk failure or sabotage. The software is designed to work on Windows platform to smoothly recover your seemingly lost files, pictures, documents, and more. With this tool on hand, you can deal with all aspects of data loss, including accidental media formatting, disk corruption, and unintentional deletion of files. The software is your ultimate recover lost data solution when the file system on your Windows drive suffers from some kind of corruption and you need to get back your lost documents. 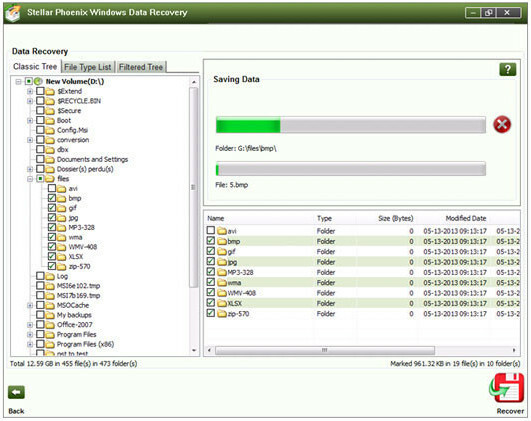 This tool supports recovery from FAT, NTFS, and ExFAT drives and volumes. The tool works just fine to recover lost partitions that are completely blinked out of existence because of incorrect partitioning operations. 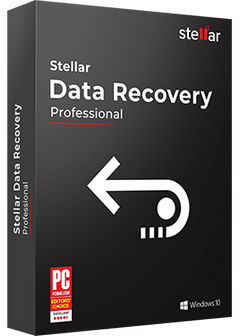 Stellar volume recovery software allows searching lost volumes on the hard drive and recover up to 1GB of your valuable data. Once you find the missing volumes, you can initiate volume recovery using any of your preferred scan option under 'Drive Recovery'. If the software does not find missing volumes, you can perform 'Raw Recovery' to randomly scan the physical disk for lost data. This utility is your best bet to recover data from damaged CD-ROM, CD-RW, DVD and DVD-RW discs. The tool can restore data from damaged tracks and sectors without fiddling with the data integrity or causing further damage to the media. The utility supports recovery from all types of discs (CDs, DVDs, HD DVDs, Blu-ray) burnt on any systems. The software performs error-free scanning of your hard drive to recover photos, videos, movies, and other multimedia files. With support for broad range of image, audio, and video file types, the tool works for all situations of photo loss from digital cameras, laptop/desktop hard drives, memory cards, and external media devices. The tool benefits email users by helping them undelete messages and other related information in MS Outlook and Outlook Express. With this tool, you can scan your entire Outlook Express or MS Outlook data files to recover lost emails without tinkering with their formatting or any other property. You can restore individual messages, mail folders, or entire data to a new PST or DBX file. For ease of use, this software supports saving messages as EML and MSG files. The software classifies files after scanning in Classic tree, File Type tree, and Filtered tree. You can use these options to generate a desired index of scanned files, and then select a file in this list to display its preview in the main interface. Using this undelete files software, you can choose to compress recovered files in order to save plenty of disk space. Compression may be applied to a single file or the entire data can be saved to a single compressed 'zip' folder at any location of your choice in the system. This software is equipped with hard drive monitoring capabilities. You can check the SMART attributes of your hard drive by navigating to the Drive Status section of the software. You can get general information about the hard drive, status of individual volumes, and SMART features. The software provides imaging option for securing your valuable data on Windows. You can extract an image of your hard drive or a selected region and save the image to a destination of your choice. You can use this feature to back up your hard drive content and secure yourself against all types of data loss. With this competent tool, it is easy to create a working copy of your system by cloning your boot drive to an external drive. The hard drive clone can be swapped with your primary drive in case you face an event of hard drive crash or failure.